Chuck DeVoe is an intellectual property attorney active in preparing and prosecuting U.S. and international applications for patents, copyrights, and trademarks. His practice also includes extensive experience resolving disputes for his clients via litigation, negotiation, and mediation with attorneys, companies, and individuals throughout the U.S., Canada, Asia, and Europe. Chuck is an avid outdoorsman who enjoys cycling, skiing, hiking, and spending time with his wife and kids. Among his many accomplishments, Chuck bicycled across the country from Seattle to Washington, D.C.; climbed Mt. Rainier, Mt. Adams, Mt. Hood, and Mt. St. Helens; and led groups of teens on backpacking and other high mountain adventures in Oregon, Washington, and New Mexico. Chuck’s mechanical and aerospace engineering background and work experience allow him to work with a wide range of technologies, including mechanical devices, sensors, electronics, electromagnetic communication technologies, audio-visual media devices, computer programs, robotics and machine automation, pollution control technology, and building controls. 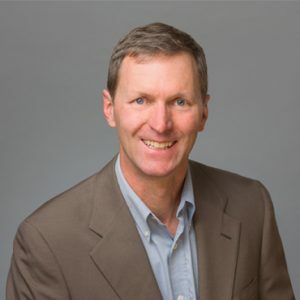 Before becoming an attorney, Chuck worked in the aerospace industry with adhesives and films used in hardening the sensitive electronics of satellites, computer systems, and other advanced electronic devices. He also worked with Honeywell in developing automated building control technologies, including fire suppression systems and electrical control systems.